Today, I went ’round the bend. Actually, there are several problems with the material I chose. Spruce is much stiffer that either Atlantic cedar or western red cedar, and I cut the strips 1/4″ x 15/16″. There are more scarf joints than I would care to count, as many as half-a-dozen per stick. The extremely hollow ends, full bilges, and nearly plumb stems require that at some point strips have to twist about 75º, which left the bilges describing a tangent rather than the chord of an arc. Ripping them in half seems to have solved that problem. I have started the bottom, a long elliptical section which will meet the strips, and bending a thin batten across suggests that they can be fitted up fair. 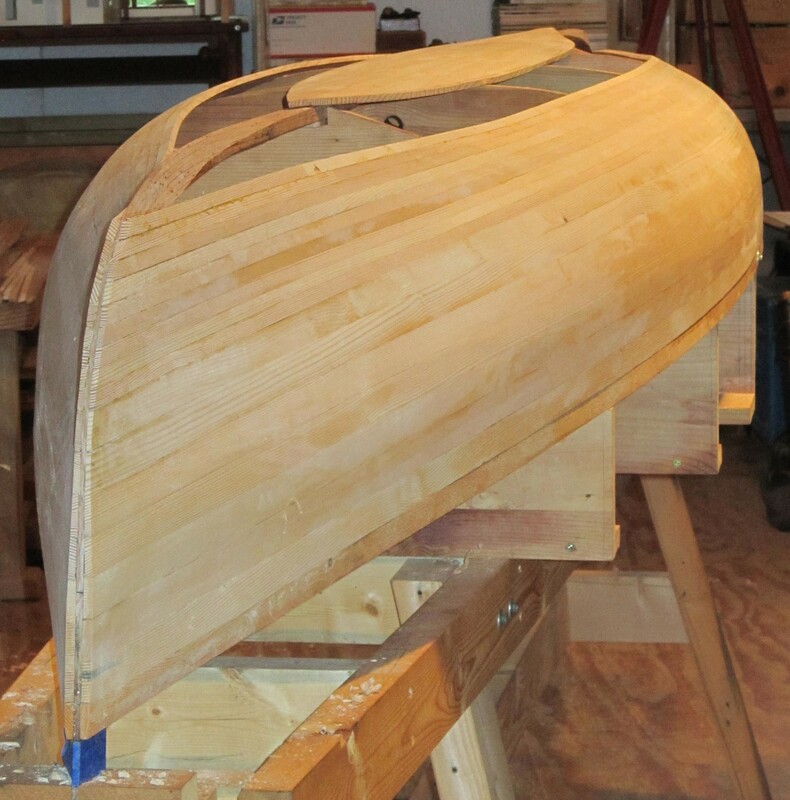 The hull and the bottom are about 4″ apart right now, but I am gaining only ⅜” for each session of fitting, gluing and planing off. On a good day, I can put in four strips. Some boatbuilders have questioned the reliability of Markkula’s drawings and offsets, but they seem to be fairly accurate, if slightly unorthodox. As I round the bend of the bilge, the hull is rising off the molds 1/4″ and has completely parted from the mold nearest the stem. The curves are fair and sweet, just a bit fuller than expected. I believe that everyone with good sense has avoided that hollow forefoot in favor of something more practical. 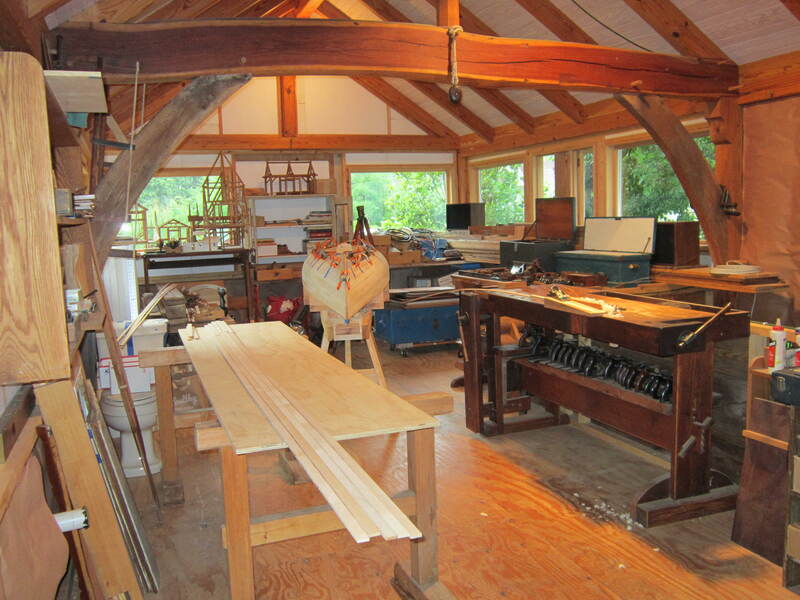 This entry was posted in boatbuilding, carpentry, woodworking. Bookmark the permalink.